R.W. Van Sant lives in Albuquerque, NM with his wife, two children, and two black pampers who were rescued from the dog shelter. Over the decades has been a delivery driver, medical claims biller/processor, museum worker and a science, history, english, and math teacher. An eternal student, he has earned degrees and certificates in general science, history, teaching and an MBA. R.W. wasted much of his youth in strange pursuits and as such he is trained in the forgotten skills of sword and bow and numerous other arcane skills too obscure to mention. Mostly, R.W. is a writer. As a student of the darker aspects of the human condition, he prefers to write science fiction, supernatural thrillers, dark and urban fantasy. 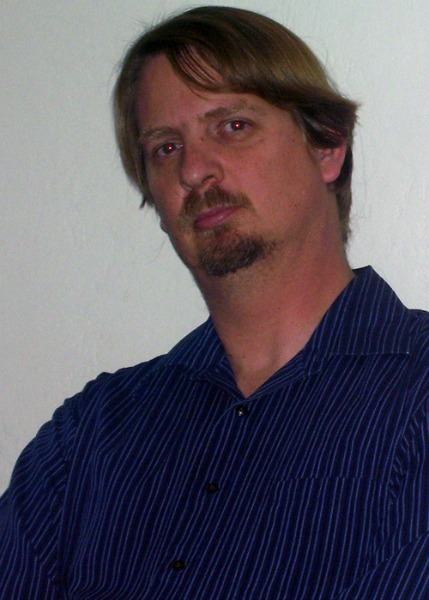 His published short stories have appeared in the Storyteller Magazine, Victory News Press and Nth Degree e-zine. Ghosts, dinosaurs, science gone wrong, disturbing futures and more. 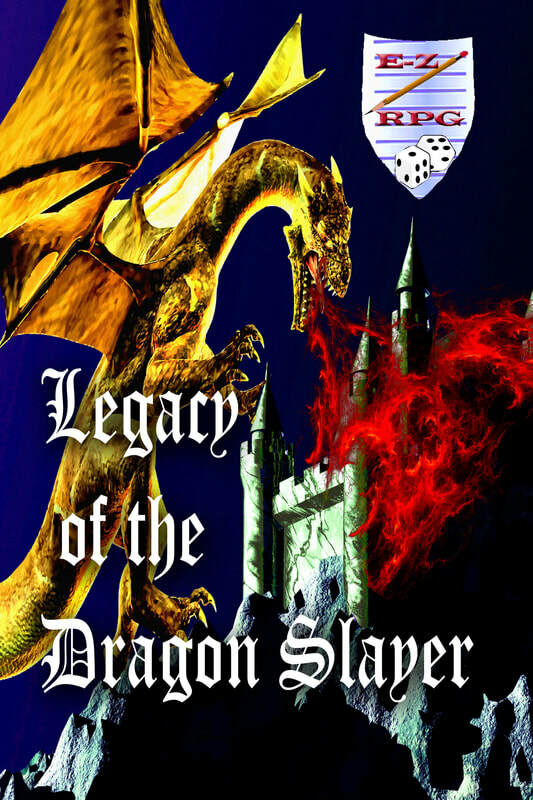 An anthology of dark fantasy, science fiction, and supernatural thriller. Ten dark and thought-provoking short stories that will thrill and intrigue you. ​A New Adult Supernatural Thriller. Jerry Lujan is having the worst semester of his life. He's failing his classes and the grandmother died. and his only living blood relative, his older brother Ted, disappeared after her funeral. Jerry hasn't heard from him in months. He is almost ready to give up. Then a phone call changes everything. Ted has been living in California, bought a beach house, and wants him to come out for Spring Break. Jerry arrives to discover that he and his brother are the inheritors the old Teller House; a dilapidated old house sitting on a cliff that overlooks a desolate cove. At the bottom of the cover, however, his ancestor's ship hides the secret to a lost family treasure. Jerry soon learns that the cove is hiding more than just treasure. In order to claim their birthright, the brothers must face the secret of their parents' deaths, and the horrifying truth that forced their grandmother to abandon her estate and flee to a life of poverty in the deserts of New Mexico. Jerry and Ted have a week to learn to scuba dive to retrieve a golden treasure spoken of in a captain's old logbook. The logbook, however, also speaks of something else lingering in the cove in the cove. Something ancient and evil may that may have been stalking his family for over a century. 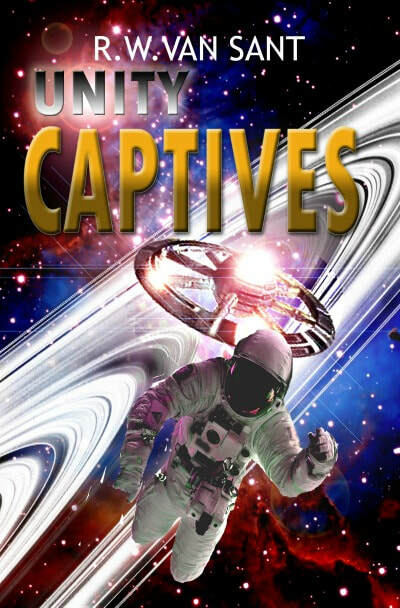 A New Adult Dystopian Science Fiction Adventure. When humanity escaped to the stars, greed and tyranny eagerly pursued. From behind the faceplate of his spacesuit, Tod Riley dreams of exploring other planets while building his world's first space station. With a salvaged travel pod, he flies between the ice and rock of the planet rings, but his dreams turn to nightmares when the Unity starship Grissom arrives in the system, bringing the tyrannical authority of the Unity with them. It's not long before violence erupts on the station. The ruling council compels the warship to leave the system, but it does not leave alone. Several colonists are shanghaied, pressed into fleet service on the ship; forced into a nightmarish never-ending war, of injury and degradation as the ship takes them further from the home they may never see again. Treated as criminals and kept as slaves, only the dream of eventual release and freedom keep them going. A dream that fades as his fellow colonists start dying off, one by one. Rumors spread that the captain is committing acts of piracy and Tod realizes that if he is ever going to see his homeworld again, he must escape the warship and somehow find his way across the light years of empty space that separates him from home. "Excellent, gripping story! A new way of thinking of some future tech!" No one on earth would ever trust Matt Dales with a badge again, not after the incident in Dallas, an incident he cannot remember. Dales is forced to take a job in the Sirius dome colony. FTL or Faster than light travel, however, destroys unprotected human minds. To allow space travel humans must be drugged insensible, unable to make memories of the event. Dales gets a partial dose of the hyper drug. His mind is bombarded by senses beyond the realm of human comprehension as well as years of memories of both the past and future. Instead of driving him insane, however, Dales suppresses the memories behind a wall of post-traumatic stress and gains flashes of future events. Dales struggles to live a semi-normal life as a serial killer stalks the dome, murdering at will and eluding the best security system humanity has ever created. Unable catch the murderer, the colonial government turns to the only man trained outside that system; Detective Dales. Now only a man with uncontrollable psychic visions can stop the killing; that is if Dales doesn’t go insane first. EZ RPG is story-driven, universal role-playing made easy. Play games in any genre from fantasy to science fiction, ranging from the ridiculous to the horrific. This easy to learn game system uses only a couple of six-sided dice. Good for beginning gamers as well as the experienced tabletop role-playing guru. Generate fun and compelling characters in minutes. New worlds of fun and adventure await, your imagination is the only limit. Go on a cruise, they said. It’ll be fun, they said. Relax and enjoy being pampered and meeting new people, they said. Now you’re running down hallways, trying not to get eaten by all those new acquaintances. Never mind trying to remember where the lifeboats are. This isn’t exactly what you had in mind for a vacation. It really is a CRUISE TO DIE FOR. 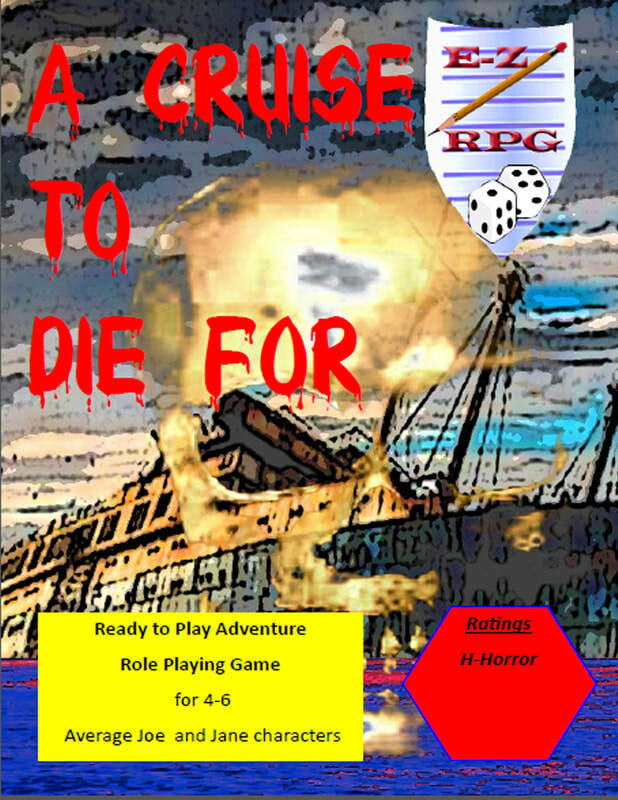 This EZ RPG adventure is stand-alone and contains all the rules necessary to play an exciting, sea-based horror game with zombies. It can be played over a few sessions or expanded to a full-blown campaign. In this exciting ready to play adventure role-playing game from EZ RPG, each player takes on the role of people sitting in that television studio audience, tasked with finding a way to close the wormholes and prevent dinosaur kind from staking a claim on a world that doesn't belong to them anymore. Play an ordinary citizen, a spy, a rock star, a military officer, or an innocent bystander just trying to –ESCAPE FROM DINO CITY! 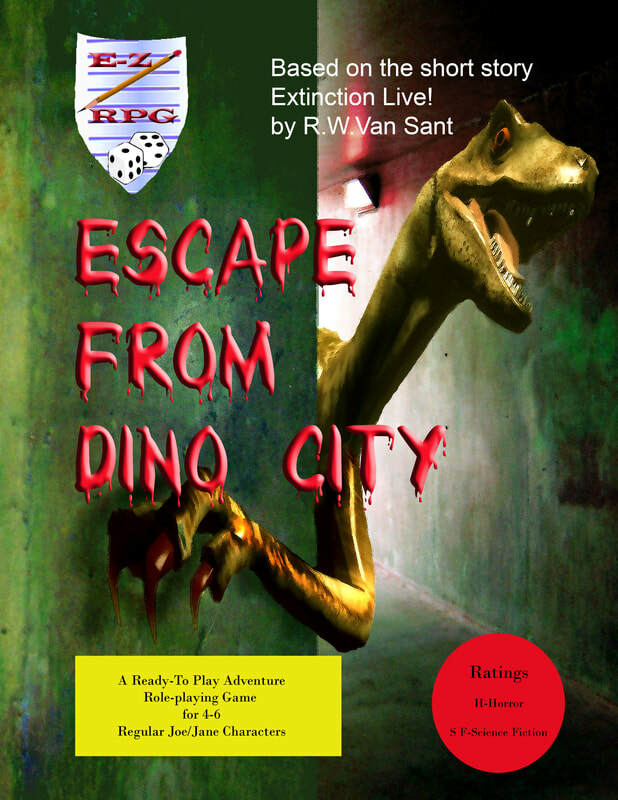 Escape from Dino city is an easy to play, easy to learn tabletop science fiction horror game. The book comes complete with all the rules necessary to play this adventure. The game book presents a game scenario that can be played by 4 to six players and can be completed in a couple of game sessions or stretched out into a longer campaign. 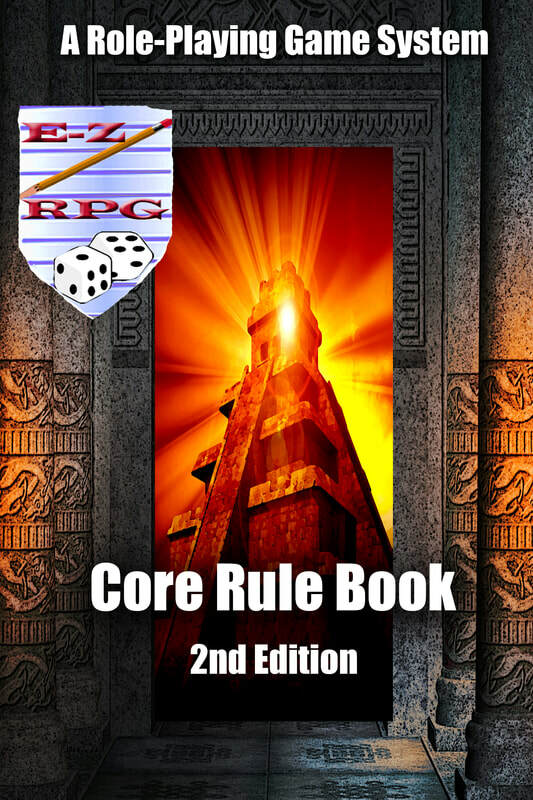 If the players wish to expand the game they can purchase the E-Z RPG Core Rule Book which contains all the rules to play in any game genre. All that is required to play this game is two ordinary six-sided dice, paper, pencils and 5 to 7 friends who enjoy tabletop games and being social. The Zombies are here and your humans are too stupid to survive without help. Requires only two 6-sided dice. In this complete, easy to play a role-playing game, you will play a house pet trying to lead your human families safely through the dangers and horrors of the zombie apocalypse. 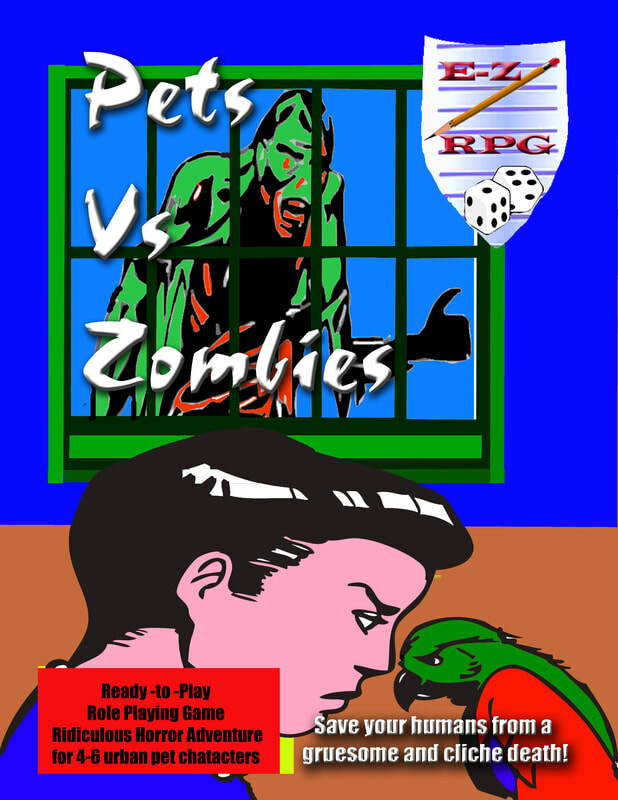 This is a stand-alone, ready to play adventure role-playing game designed using the E-Z RPG system and contains all the rules necessary to play a ridiculous, pet-oriented horror game with zombies. Whether you are a long-time gamer or someone new to role-playing this game system is for you. A complete role playing game system uses only two 6-sided dice. It’s been two decades since the day the king fought a dragon who murdered his father and won the battle. On the twentieth celebration of his Majesty’s ascension, the whole country has turned out to celebrate – including the monster long thought dead. The dragon appears and slays the king, plunging the kingdom into chaos. Now, to take the throne, the princess must recruit a group of adventurers to brave a perilous journey, beset by brigands, beasts of the wild, and traitors to reach the mountain lair of the beast, and put an end to the foul Wyrm once and for all. Play a heroic thief, steadfast archer, spell-wielding mage, heroic knight, or any character variation you can think up. The system is flexible enough to handle a dash of imagination. This E-Z RPG adventure is stand-alone and contains all the rules necessary to play an exciting, role-playing game set in a fantasy world of swords and sorcery, high adventure, and – of course – dragons! It can be played out over a few sessions or expanded to a full-blown campaign. Audio visual reading of the published short story "Whale Song" by author R. W. Van Sant.